← Testing Vegan Recipes : Chocolate Mocha Cupcakes! Shall we get on with it then ? 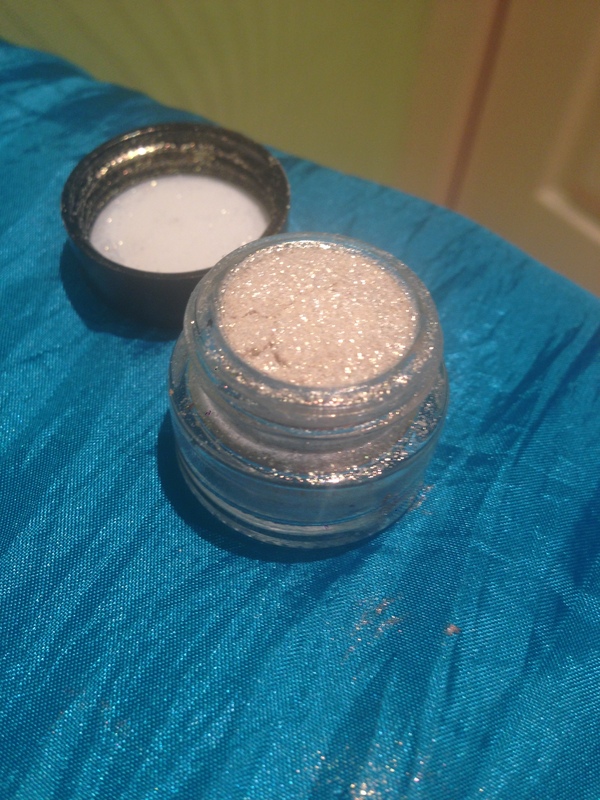 I think so …..
It’s a little hard to see in the photo but it is very glittery I promise . This is called glitter for a reason … it is sooo glittery. 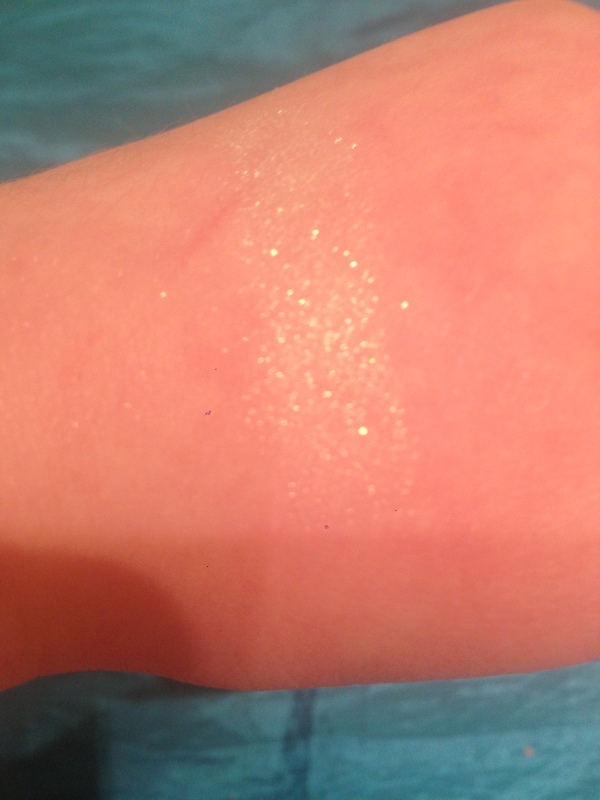 I’m literally covered in it just now after doing the swatches :D. I love this glitter dust ! 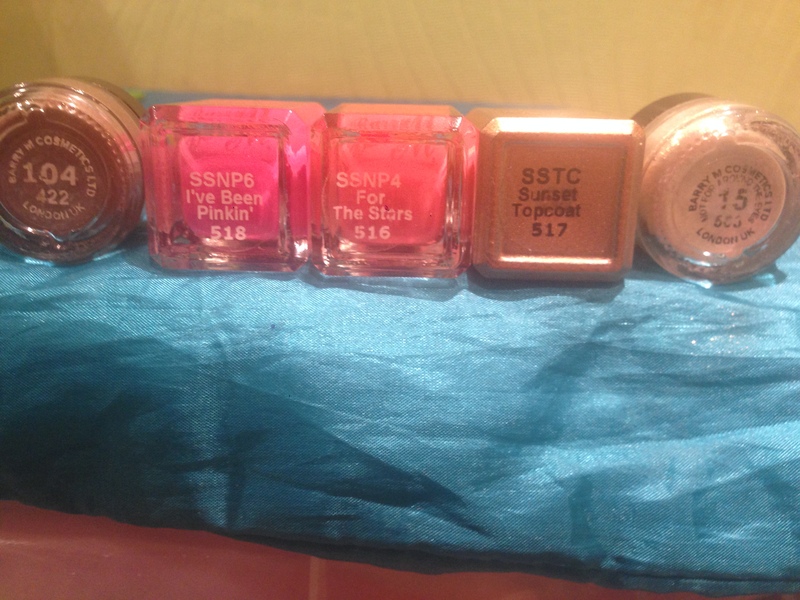 I’s very fine so it applies similar to regular eyeshadow but is just super sparkly and a little really goes a long way. This eyeshadow is perfect for special occasions or nights out , or it can be used subtly int the inner corner for everyday wear. I suggest you use this over finished smokey eyeshadow in the inner corner to the centre of the eyelid, over white eyeshadow so it really stands out. I would also suggest using a slightly damp applicator or brush for easier application and longer wear. This is slightly different from the glitter dust. 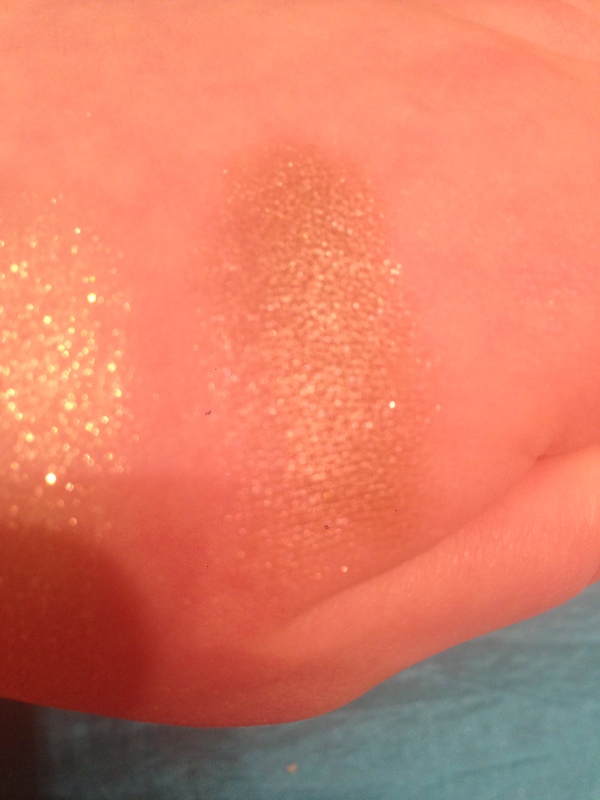 It’s more of a very metallic shimmer eyeshadow than glitter but like the glitter dust this is a loose eyeshadow. 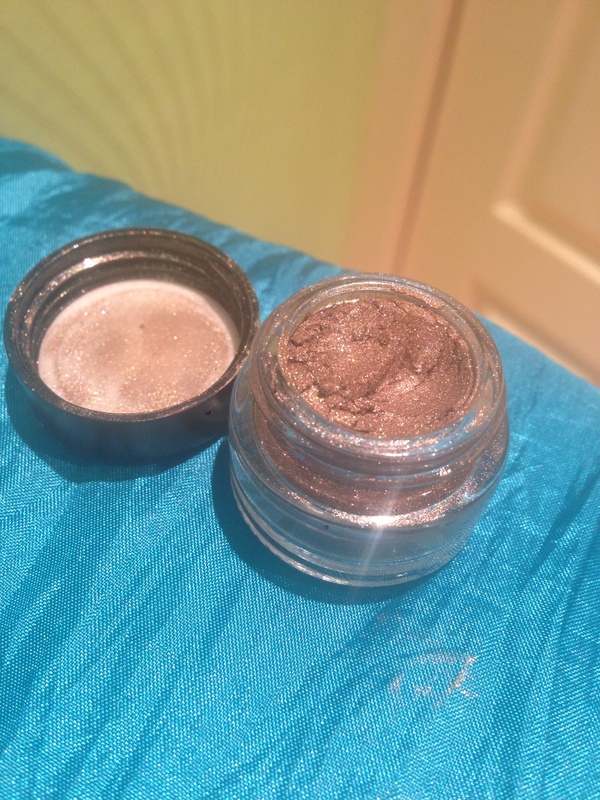 This eyeshadow is very pigmented, and this particular shade is gorgeous, dark metallic brown that has a tint of copper in it once it has been blended. I love to use this in the crease as it blends out beautifully. Wear it with a cream shimmery eyeshadow in the inner corner, and a reddish-brown shade as a gradient from light to dark in the mid eyelid and crease, with this shade concentrated in the outer corner and crease . Barry M have quite an extensive range of nail polishes with different collections and finishes such as Gelly nail paint and Gitterati nail paint. But the new sunset range are probably my favourite. The colours are pretty limited with only 6 to choose from (not including the topcoat) but boy are they good! The polish goes on very well and the colours are very bright more so when you do the recommended 2 coats. It also dries quickly with tonnes of shine even before applying the topcoat. 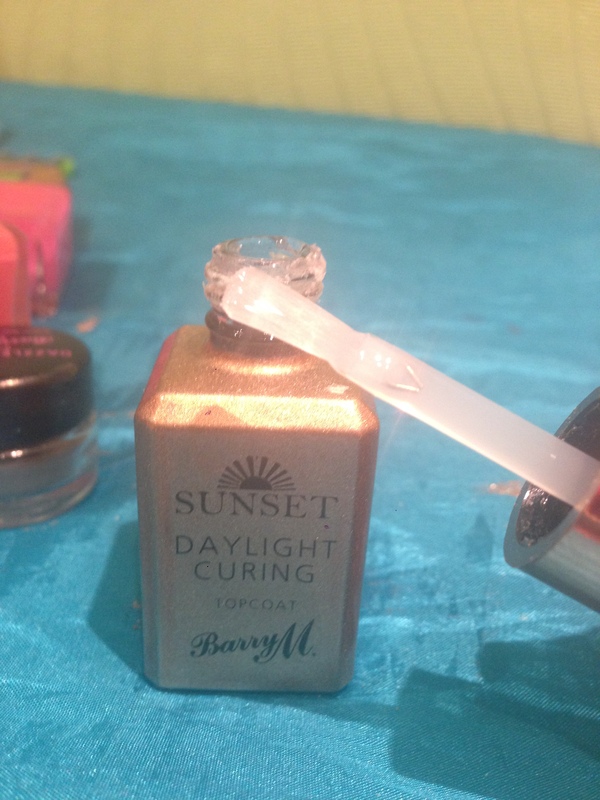 Once the topcoat goes on the polish cures in the sunlight leaving you with ultra shiny and long wear nails that look very similar to gel nails fresh from the salon. Just be careful not to make the layers of polish to thick, if they are too thick they will be more likely to chip and peel off. 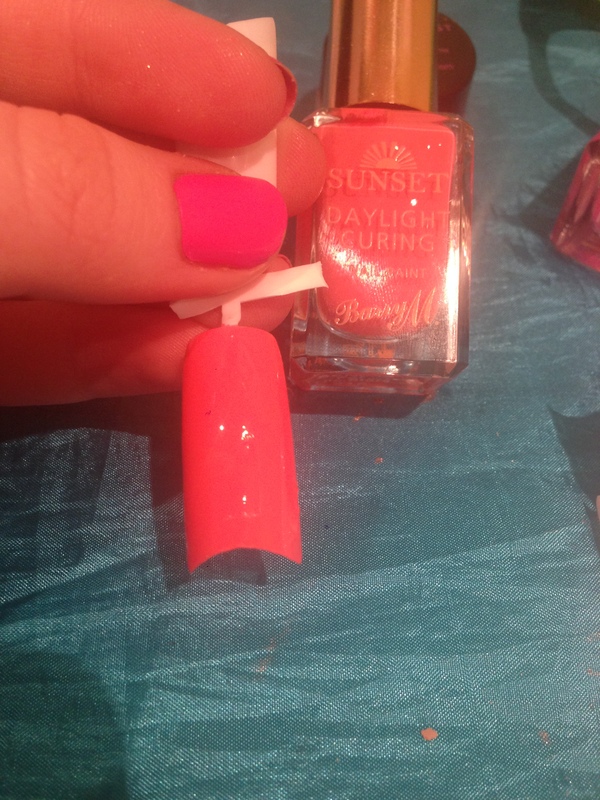 This topcoat is meant for the sunset nail paints only (I’m not exactly sure why but that’s what it says) which is not the best because you can’t use it with any other nail polish. 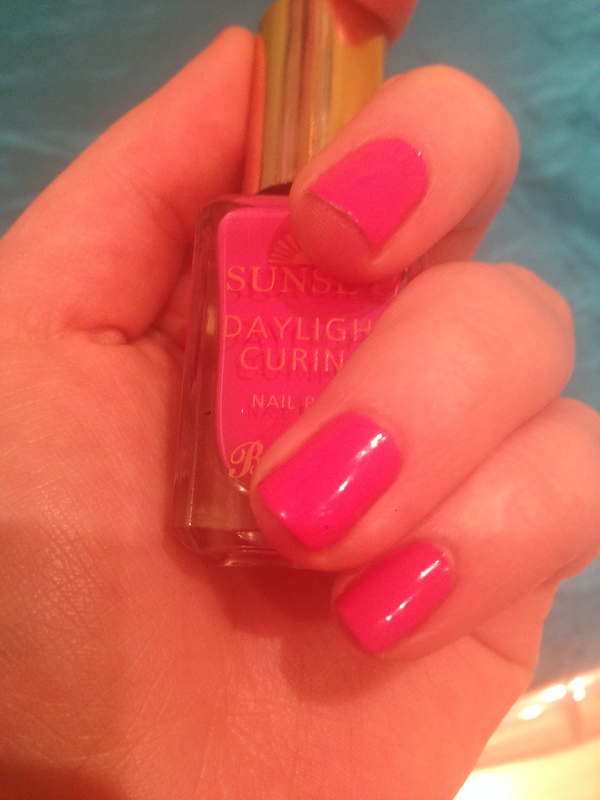 However I do love this topcoat with the nail paints mentioned above. It leave the nails with a very high gloss finish that resemble gel nails at the salon. It also help the polish to last longer which is always a plus. The brush is quite wide in all of these paints which makes it easy to apply and it also dries relatively quickly. I’ve only had this blog for like 5 days or so and I can’t explain how much I enjoy it . I really love that you guys are reading and enjoying my posts and it makes me so happy ! Love that glitter dust! But I agree with you – it gets everywhere! !